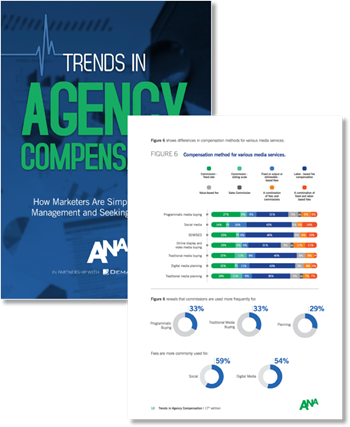 The ANA Trends in Agency Compensation study has been conducted every three years for nearly the last 50 years among client-side marketers. Recent trends reveal that labor-based fees and performance incentives are on the decline. Scroll down to learn more and access tools and content that will help you succeed. Click the arrow to scroll down and learn more. Get an in-depth look at how agency compensation practices are changing with the Research Report and Executive Brief. Traditional media commissions have been on the rise. Skim this visual version of the key findings to learn more. 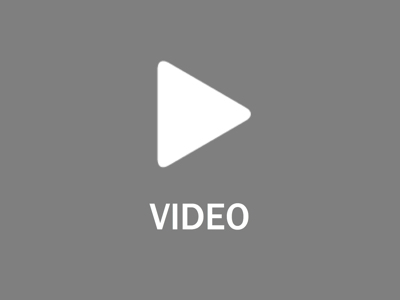 This video explains why agency compensation methods are important and how marketers can align with agencies. 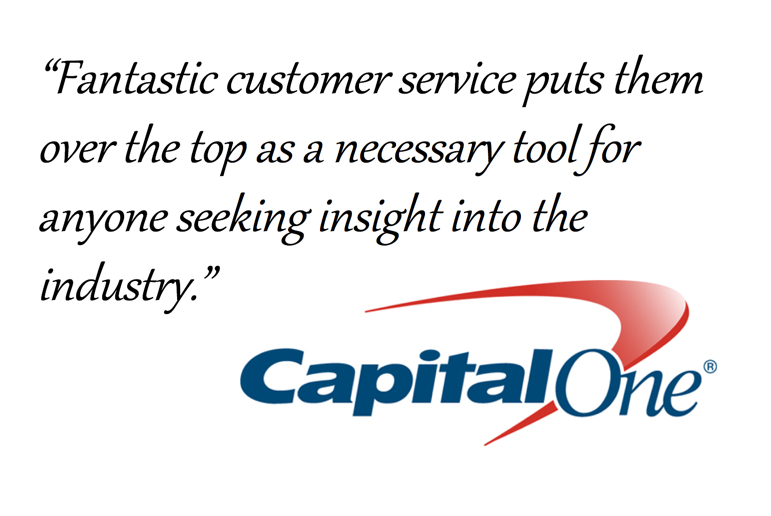 Get complimentary help and answers to your specific questions. 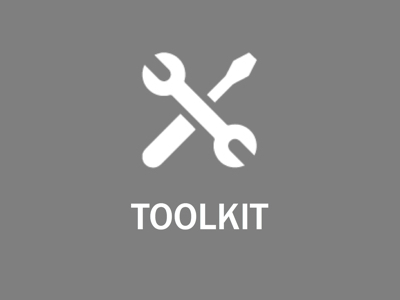 Download customizable and re-brandable tools & templates. 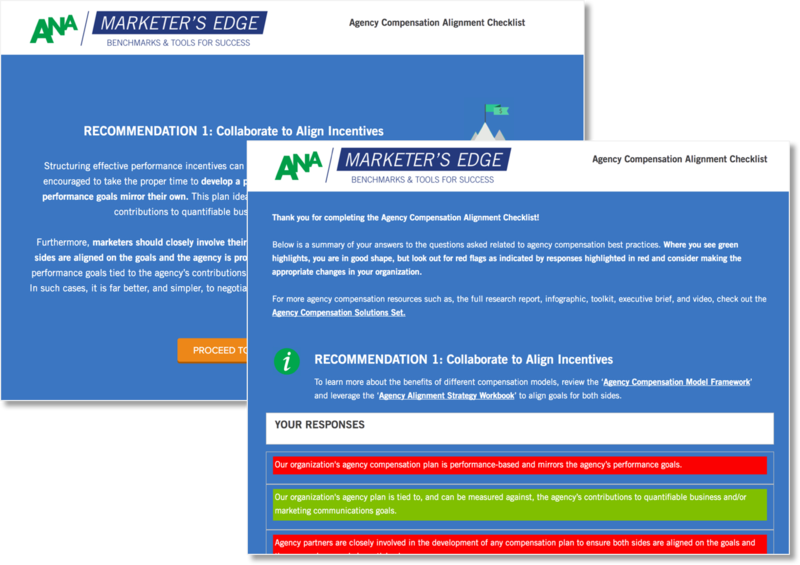 Compare your agency compensation practices to those of other marketers and align with best practices. The 17th edition of ANA agency compensation research found that the use of labor-based fees have declined for the first time since 2006. 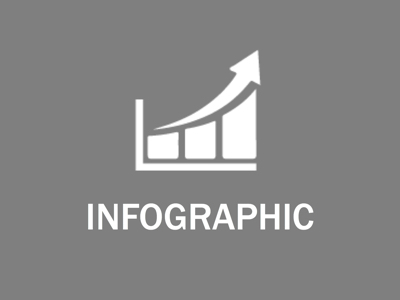 This research includes quantitative survey results, marketer interviews, and validation from subject-matter experts. 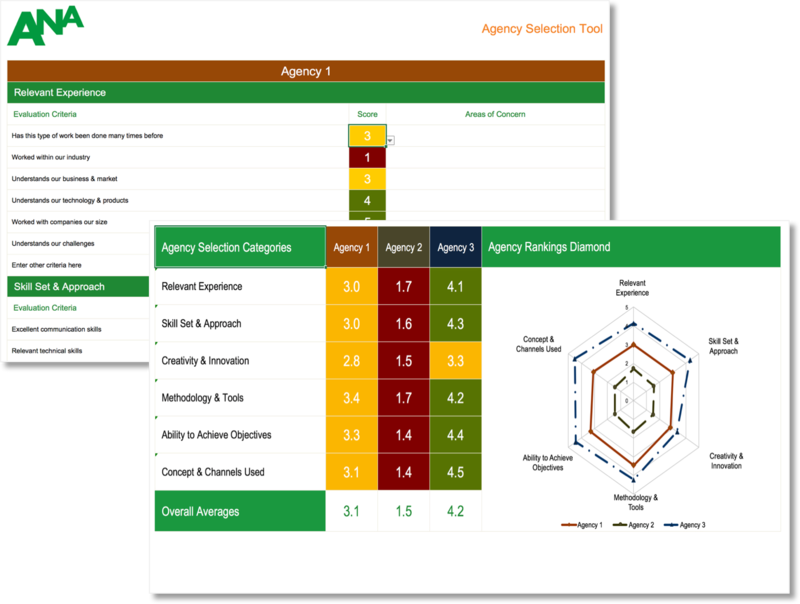 The Agency Relations Toolkit will help you evaluate, analyze, and plan your agency compensation practices. 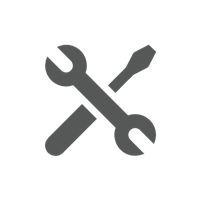 It contains 20+ downloadable tools and templates in Microsoft Office that you can customize and rebrand for your organization. 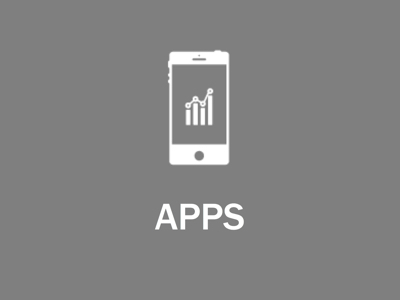 1) Agency Compensation Peer Benchmarks App - Assess your agency compensation practices and see how you compare with 82 peer organizations who represent 1,167 client-agency compensation agreements. 2) Agency Compensation Alignment Checklist - Use this checklist to determine if your organization is employing agency compensation best practices. 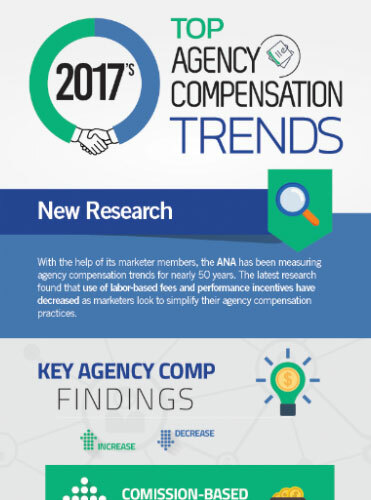 With the help of its marketer members, the ANA has been measuring agency compensation trends for nearly 50 years. The latest research found that use of labor-based fees and performance incentives have decreased as marketers look to simplify their agency compensation practices. Do you have a challenge that requires quality research or information? 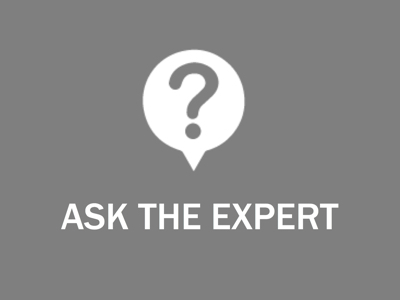 ANA members can use Ask the Expert to receive complimentary, confidential help with marketing questions. 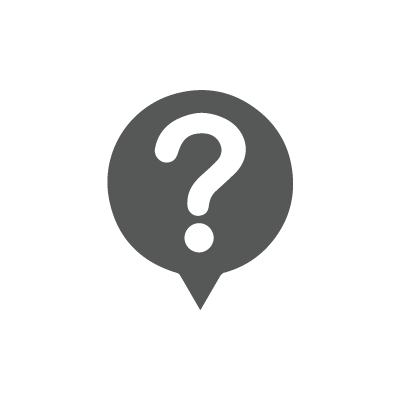 Submit your marketing question or business challenge here, and an ANA researcher will contact you about the request by the next business day. ANA Research delivers must-have Solutions Sets containing practical research, tools and resources to help members stay current on key trends, adopt best practices, and improve marketing effectiveness. What's included in a Solutions Set? 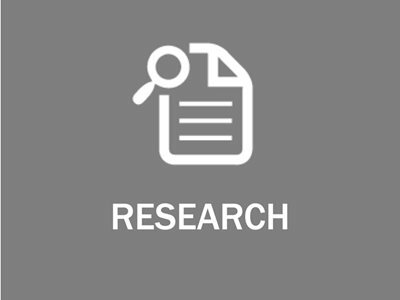 Help us to provide you with benchmarks and tools for success by participating in our research surveys, in-depth interviews, case studies and committee meetings.